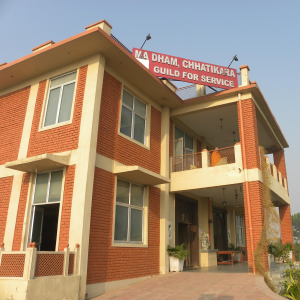 The Guild has been running the Sannidhi Vocational Training Center at Najafgarh, Delhi and Ma Dham, Vrindavan through the kind and generous support of the Women’s Rehabilitation Group, New Jersey. It is a Center having a primary focus on the learning and sharing of knowledge, in order to enhance the earning capacity of beneficiaries. It is an initiative to educate the children who will be ‘agents of change’ in future. The centre provides a unique opportunity to the students towards attaining training in their desired vocations. It also provides an organized and conducive environment for enhanced and productive results. It shows that positive and mutually beneficial working relationships can be developed by acknowledging and working constructively with the beneficiaries and the organizations that represent them. Most of the beneficiaries under Sannidhi Vocational Training Centre have been successfully rehabilitated and placed in their respective fields. Many have been placed in Government Hospitals, neighboring beauty parlors and some have become self- entrepreneurs. We would like to extend our heartfelt thanks to War Widows Association for their timely and continuous support towards reaching out to the most marginalized and deprived children and women .